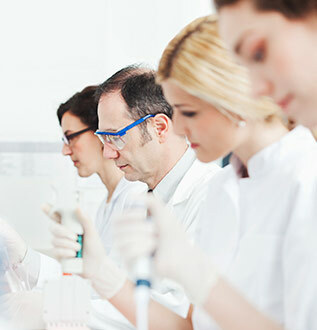 Frequently Asked Questions - Fieve Clinical Research, Inc.
One specific type of medical Research study is called a clinical trial (may also be called a clinical research study). Clinical trials evaluate the safety and effectiveness of drug treatments, medical devices, or other therapies. They can help doctors find new or better ways to prevent, detect, or treat illness. 1. Opportunity to receive newest state-of-the-art treatment. 2. Receive medical treatment, medical attention or health counseling, often at no cost. 3. Receive high quality care. 4. Help others by aiding in the discovery of new or better treatments. 5. Help aid the development of medical therapies for life-threatening and chronic diseases. Clinical Trials enroll people who are alike in certain ways depending on the guidelines of the study. These guidelines are required to be in the study such as the type of disease, age limit or general health. People with an illness or even healthy people can volunteer to participate in clinical trials. Are there Benefits and/or Risks to being in a Clinical Trial? No one can completely predict if a participant’s condition will improve, stay the same or even worsen. While volunteering may or may not benefit you personally, the knowledge gained may help others in the future. Sometimes clinical research can cause discomfort or adverse events such as side effects to a study treatment or procedure. However, you will be closely monitored by the study doctors and research staff, who will carefully review your data and self-reporting for any problems or reasons to withdraw you from participating. When considering participation in a clinical research study it is important for you to be informed and understand all of the potential benefits and risks so that you can make a sound decision regarding your participation. If you have any questions or concerns, be sure to ask the study staff before, during and even after volunteering for a clinical research trial. Informed consent is a process of providing information before and during participation in a clinical research trial to allow you to have a clear understanding of what to expect, your rights as a volunteer, alternatives to participating and all anticipated benefits and risks that could occur. Prior to your participation in research study you will be provided with an informed consent document outlining all of this information, which you will sign confirming that you understand and agree to participate. What are my Rights as a Research Volunteer? You may choose not to volunteer or you may change your mind and leave a research study at any time. Decisions you make will not affect your health care or other benefits you are entitled to. Your information will be kept confidential and shared only with those who provide oversight for the study. Clinical trials have several steps they must pass through to ensure a participant gets careful medical attention. The Institutional Review Board (IRB) is a group of doctors, other health care providers, community members and sometimes clergy or specialists who do not have any personal interest in the result of the study. The IRB reviews all research studies to protect the rights of research volunteers and ensures that the study doesn’t cause unnecessary risk to participants.